You are here: Home / Travel / 17 beautiful cities in Belgium besides Brussels that you won’t want to miss! Towns/Cities included on this beautiful cities in Belgium (Wallonia) list. Of course you should visit Brussels and Flanders, however Wallonia is the focus of this article. Belgium is divided into TWO parts: Flanders and Wallonia. Flanders is the Flemish part of Belgium in the north while Wallonia is the French speaking part of Belgium. These two areas are very different in terms of architecture, language, and culture. It’s so cool that you can just drive 1 hour and feel like you’re in another country. Wallonia has been inhabited for thousands of years and one of the first discovered paleolithic caves in Europe is in this amazing region. Also, people are wonderfully friendly (in both parts of Belgium) and the cities in Belgium are beautiful in both regions. Located along the River Meuse, Dinant, a town with less than 15,000 people, is an incredibly historical and gorgeous epicenter. Not only is the town the birthplace of Adolphe Sax, the inventor of the saxophone, but it is also the site of one of the first battles of World War I. Perched high on the other side of the river from Dinant is the original Leffe brewery! Dinant is often considered to be the most beautiful town in Belgium. To soak up the history and stunning views of Dinant, take the gondola to the top of the Citadel for a panorama of the entire town. Enjoy the town from the water by renting a small motorized boat (there are some incredibly beautiful churches along the banks). Make sure to end the day by drinking a Leffe at the old brewery! The city is completely walkable and easily reached by train from both inside and outside of Belgium. With a small town center, Dinant is the perfect weekend trip. Read about things to do in Dinant at Jordan’s blog! Durbuy is widely considered to be one of the most beautiful Belgian cities and it’s an easy day trip from Brussels by car. Durbuy loves to brag that it’s the smallest city in the world, however this dates back to an earlier time period where the medieval city was named as a city despite having a smaller population. Now, you have a stunning medieval village that is perfectly preserved with an impressive castle AND the world’s largest topiary maze. The old medieval city of Durbuy is very walkable with many shops carrying artisanal food/beer, half-timbered houses, and ivy-covered houses. Walking around Durbuy can be done quickly, but when you’re sighing at the sight of every beautiful house and alleyway, it takes hours. 😉 You can enjoy more photos of Durbuy with tips for things to do in Durbuy in another blog post of mine. People who love flea markets will fall in love with Bomal. I absolutely love flea market or any kind of market, so if you’re into eating lots of traditional foods, adorable architecture, thrifty finds (1 euro cat tunnel! ), and just getting lost in a beautiful Belgian town, Bomal is for you. It’s a short drive from Durbuy, so it’s perfect to explore Durbuy on a Saturday, stay overnight in Durbuy and head to Bomal on Sunday. “Les marchés Ponts Gourmands” This is the food market in Bomal that is every Sunday in between May and November. It’s fantastic for trying local foods, buying farm fresh veggies, shopping for new gloves, or just admiring the town’s cute architecture. “La Petite Batte” is the Bomal flea market. It’s held in one of the main buildings in the town centre called La Sassin between 9am-1pm every sunday. There’s over 200 stalls and you have no idea what you’ll find. Bring cash. The town of Spa is most famous for its healing natural spring water and it’s also a beautiful town in Belgium! Established in the 16th century, the thermal resort of Spa is one of the oldest in the world and is also where the English term Spa comes from. The baths are beautifully located up on the hill amidst the trees where you will find complete relaxation. It is really nice to swim in the outside hot pool on a cold winter day with the freshness of the trees and piles of snow all around. Other great reasons to visit Spa are the casino and the nearby circuit de Spa-Francorchamps, which hosts the yearly Formula 1 event. The Casino of Spa was built in the 18th century and is the worlds oldest casino. It used to attract aristocrats from all over Europe and is still one of the highlights for a visit to this pretty Wallonian town. Thanks to Sabine for submitting this one! Mons is a beautiful city in Belgium, only 40 minutes from Brussels. The city hall in Mons is in the gothic-style, which is atypical for the region, but absolutely beautiful to admire. You can even take a tour of the building if you plan ahead. It’s right in the middle of Grand Place, the shining star of Mons. Surprisingly, you’ll not see many tourists, despite the region’s link to Van Gogh in Belgium. The real region to visit Mons is to learn about its incredible feminist history, the UNESCO recognized Doudou festival that occurs every Trinity Sunday, AND the UNESCO-recognized Belfry (one of twenty three throughout France and Belgium). You can read more about this beautiful city in Belgium in its own blog post about things to do in Mons and some practical information. Photo copyright; BigstockCrupet is a beautiful village in Wallonia with a beautiful chateau dating back to the middle ages. It is actually listed among the most beautiful cities in Wallonia and when you wander through the town, you’ll see why people rank it accordingly. However, the showstopping reason to visit Crupet is not the castle, but the grotto in the middle of the town centre. I didn’t know about the grotto when we visited…and well, it was absolutely FASCINATING to explore it. The town itself is made up of stone houses that lend a cozy atmosphere to the town, especially around sunset. The Grotto of St Anthony of Padua dates back to 1903 and it was created after the hill behind the main church left some room… The parish leader decided to build this very interesting collection of statues showing off the miracles of St. Anthony (who helps people find missing things). There’s EVEN a secret passage in the back. Rochefort is a beautiful municipality in Belgium that used to be a resort in the 1800s. Nowadays, it’s most famous for the Rochefort Abbey that produces Trappist beer as well as the caves nearby. Similarly, you can also see some of the ruins of the ancient chateau that used to be there. Similarly, be sure to keep an eye out for the cheese! If you’re a beer lover, you won’t want to miss this town in Belgium! Photo copyright: BigstockNamur is one of the main cities in Wallonia as it’s the capital of Wallonia (and Namur province) and widely considered to be one of the most beautiful cities in Wallonia. It sits along the Meuse river although you can get impressive views of the area from its medieval fortress. Don’t miss the belfry dating back to the 1700s. It’s quite easy to access from Brussels, however you’ll fall in love with the architecture, beer, and many things to do in this stunning area once you visit. Photo: BigstockTorgny is a beautiful village in Belgium in the southeastern part of Belgium (in the Ardennes). The houses in Tourny are the reason why this village is famous for being a beautiful place in Belgium. Note the golden color! It’s full of beautiful buildings made of stone, colorful plants, and sloping roads. Around this area, you’ll find beautiful forests and rolling hills. La Roche-en-Ardenne is one the most popular Belgian destinations in Wallonia and once you see the fortress above the town…it’s clear why many consider it a beautiful town in Belgium. The fortress dates back to the 9th century although it’s been built up/down throughout history. 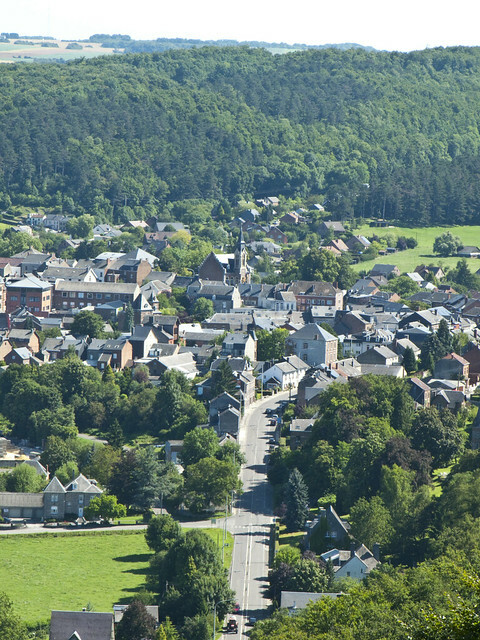 The town was luckily not destroyed (although it was damaged) during World War II despite playing a major role in Battle of the Bulge. Admire it for yourself and consider visiting in summer/fall to take advantage of the nearby hiking. Bouillon is another beautiful town in Belgium with an impressive medieval castle dating back to medieval times. There’s also quite a castles in the area, so if you’re more into chateaus, you’ll find these too. There’s just a ton of beautiful look-out points around this town, so if you’re a fan of hiking, nature, and castles, consider visiting Bouillion. Chassepierre is another beautiful town in Wallonia Belgium! 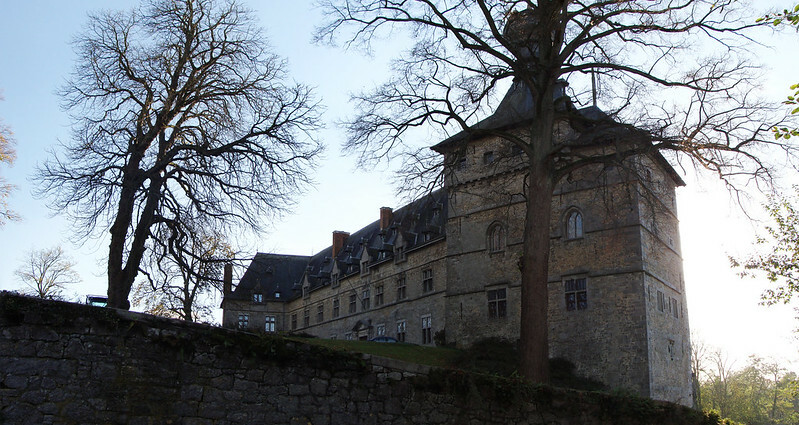 It also ranks among one of the most beautiful villages in Wallonia and if you’re admiring the stone houses within the village, you’ll understand why. Beyond being an adorable town, it hosts a street art festival each August. Lovers of unique European festivals won’t want to skip this beautiful Belgian town. Each year, there’s a UNESCO recognized festival where the battle between David and Goliath is reenacted in a unique fashion, which is why Ath is the city of giants. Don’t miss the adorable city hall. Liege? You might be like…wait a second, one of these is not like the others. 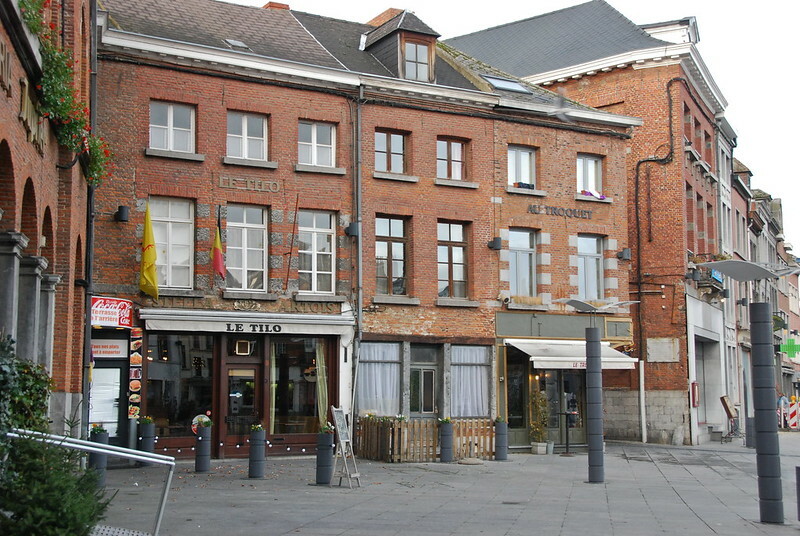 Despite Liege’s industrial reputation, there’s parts of Liege that are truly adorable. BUT, have you been to the Montagne de Bueren? This 374 staircase might change your opinion about one of Belgium’s most famous cities (even if just for the waffles). You’ll also see some cute medieval passages close to Rue Hors Chateau, so don’t give up Liege until you see it for yourself (or just eat a delicious Liege waffle in Liege). Photo:BigstockMalmedy is a beautiful city in Belgium where German is one of the languages spoken (Isn’t Belgium a fascinating place?) . It has had a fascinating history and a proud tradition celebrating various festivals. Don’t be put off by the World War II history here and consider coming in Malmedy just in time for Cwarmê (the main festival) to experience a charming city centre full of beautiful architecture and the amazing costumes that people spend months preparing. Belgian beer lovers, you cannot miss this Belgian city famous for its Chimay castle. The city itself is absolutely adorable, so if you need an excuse to drink a Chimay in a picturesque cafe after enjoying a day of stadswandeling (simply getting lost in a city) or hiking in the stunning forests that you’ll find close to Chimay. Tournai is yet another charming Belgian city in throwing distance of Brussels. They boast that it’s Belgium’s best kept secret and when you see its UNESCO recognized Belfry and the adorable Grote Markt, it’s easy to see why. Interestingly enough, this city was ruled by almost every single European country, even the British, so look for some influences left over from the five year rule of the Tudors. Have you visited any of these cities/towns? Have I left any beautiful Belgian cities in Wallonia off this list that you loved? If you enjoyed this, I have a lot more posts about Belgium, including finding out more about Van Gogh in Belgium, Mons, Durbuy, Brussels, Antwerp/Ghent…. I totally agree with you here. Wallonia is lesser known (and popular) than Flanders, and that’s a shame really. Dutch people really like to visit the Ardennes, but mostly for the nature and not the cities. I really like the cities too, however. I have been to Liege and Namur and loved them! Durbuy is a complete wasp’s nest of tourists. I went there biking with a friend and we were so disgusted by how touristed out it was that we didn’t bother visiting the old center. We got the hell out of there asap. Hi Andy. Sorry to hear that you didn’t like it. Durbuy is a bit touristy, but not bad compared to most Belgian cities IMO. However, it’s a bit forgiven when you get into the old city center.